HENDERSON, Nev. – Leadership Henderson, a program under the Henderson Chamber of Commerce Foundation, will graduate its 13th graduating class Friday, May 17. The graduates will join the more than 245 existing alumni who have completed the program since its inception in 2000. Many program alumni moved into executive leadership, entrepreneurial and elected positions throughout the community since graduating from Leadership Henderson. The group will celebrate during its annual gala with cocktails, dinner and a graduation celebration from 6 to 9 p.m. at the Westin Lake Las Vegas Resort, 101 Montelago Blvd. in Henderson. Tickets to the event are $50 for individuals, and a table for eight is $400. Reservations can be made online at http://www.leadershiphenderson.com/ by Monday, May 13. During the eight-month program, which began in October, 23 community and business leaders received more than 30 hours of professional leadership development training. Participants also met with Southern Nevada decision makers and learned about Henderson’s key topics and infrastructure. The Leadership Henderson program works to strengthen and educate community leaders by providing participants with in-depth insights into a variety of issues impacting residents and business of Henderson and Southern Nevada. The graduation event is sponsored by AllState Insurance, CenturyLink, TRONOX, NV Energy and Wells Fargo. Leadership Henderson is a non-profit organization that operates under the Henderson Chamber of Commerce Foundation. 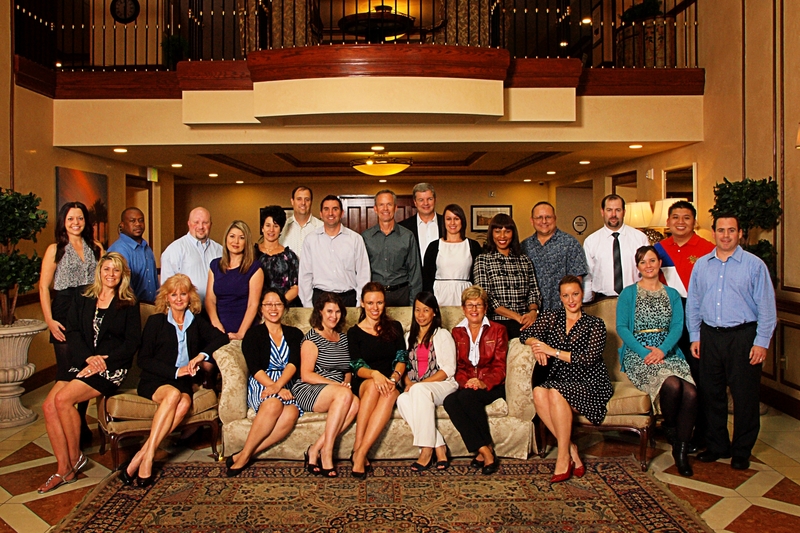 Leadership Henderson is governed by the Henderson Chamber Foundation Board and guided by a steering committee. The majority of the participants have been identified and recruited by alumni of the program and all were chosen through a selective application and interview process. The program is recruiting future leaders for the Class of 2014. For more information on the Leadership Henderson program, contact Rebecca Fay at 702-565-8951, by email at rfay@hendersonchamber.com or at www.leadershiphenderson.com.